The Aplustridae, previously known as Hydatinidae (a preoccupied name), is a family of small to large shelled lower heterobranchs with very thin shells that generally have a sunken spire. 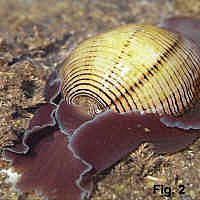 It contains the large, fragile shells of Hydatina and Aplustrum, one species of Micromelo which rarely exceeds 15 mm, plus a few minute species of Parvaplustrum. The shells are lightweight, and decorated with a conspicuous pattern of spiral brown or black lines. More conspicuous than the shell is the brightly coloured animal, which has an expanded frilled margin with an almost luminous sky-blue edge. Aplustrids are epifaunal animals, living intertidally and in the shallow subtidal, crawling in the open on reefs, sand and seagrass. They feed on amphinomid and cirratulid polychaete worms, from which they extract toxins which they deploy for their own protection. Most species are widespread throughout the tropical Indo-West Pacific region, more common in the tropics than in NSW. 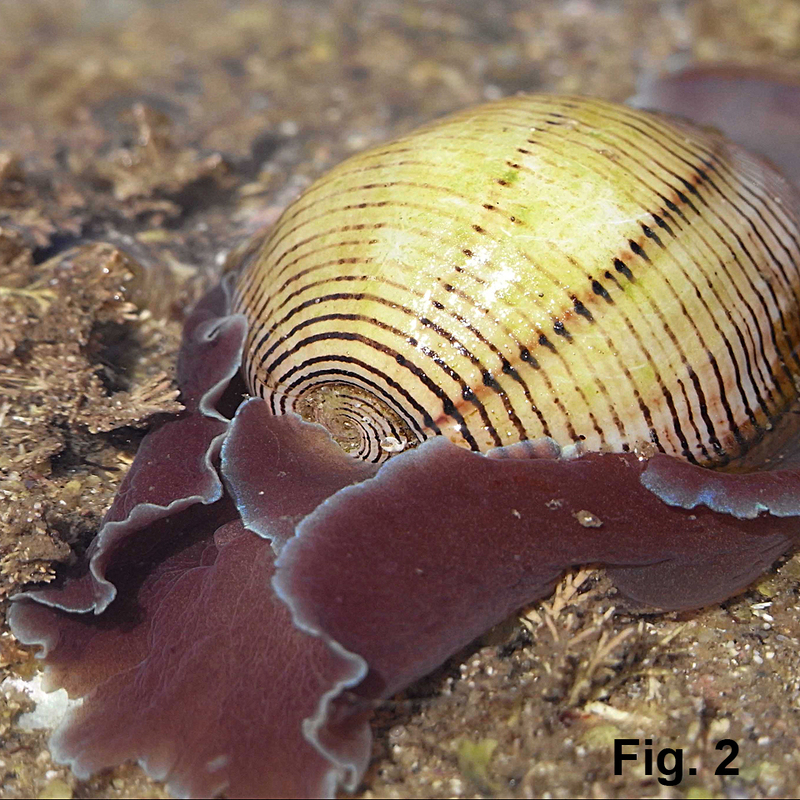 However, Hydatina physis is reasonably common in NSW, reaching southwards to eastern Victoria. Aplustrum amplustre and Hydatina albocincta extend into northern NSW, rarely as far south as Sydney. Hydatina albocincta (van der Hoeven, 1839). Widespread throughout the Indo-West Pacific Ocean. Occasionally found in far northern NSW, but there is one anomalous record from Merimbula, NSW (Rudman 2001). Sometimes known as Hydatina zonata. Shells are small to large, fairly thin and fragile, with sunken or slightly elevated spire, and elaborately decorated.